The move announced Friday cuts the number of shows from four to two and breaks with traditions in the industry. Luxury fashion retailer Burberry says it will combine its menswear and womenswear catwalk shows into a single presentation, and slash the amount of time it takes for customers to obtain items seen on the runway. The move announced Friday cuts the number of shows from four to two and breaks with traditions in the industry. The items will be available both in store and online immediately after the show, underscoring the company's commitment to the digital space. "The changes we are making will allow us to build a closer connection between the experience that we create with our runway shows and the moment when people can physically explore the collections for themselves," said Christopher Bailey, the Burberry CEO and chief creative. "Our shows have been evolving to close this gap for some time. From livestreams, to ordering straight from the runway to live social media campaigns, this is the latest step in a creative process that will continue to evolve." The company — known for its trench coats and checkered print — is trying to bolster its global reach. The changes, which will begin in September, will also allow Burberry to further highlight seasonless styles, a plus for global customers who may be experiencing a different season than the traditional fall or winter in London. 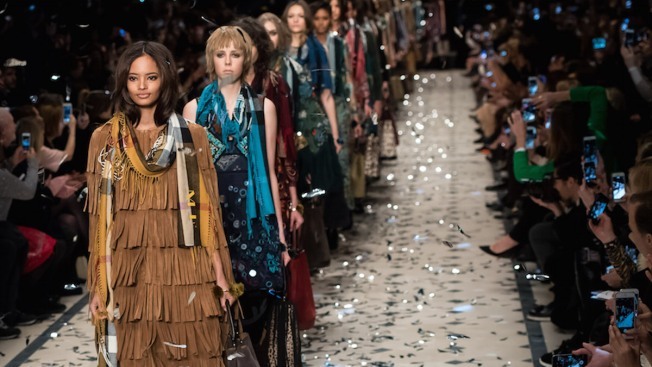 Like other luxury retailers, Burberry has come under fire for their outdated fashion calendar. Collections showing in February or September but won't hit stores for another six months, giving fast fashion brands like H&M and Zara a head start to copy upcoming trends months before the original pieces are available for sale. With the advent of fashion coverage on social media and blog sites, customers are getting a preview of trends half a year before they can even buy the items and grow tired of seeing them by the time they're actually in stores. 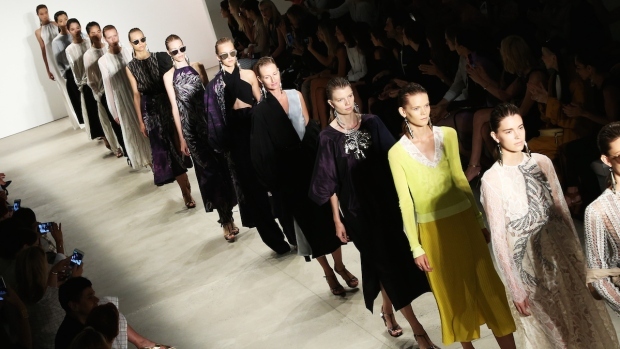 Tom Ford annouced Friday that he was canceling his planned presentation at New York Fashion Week. The former creative director for Gucci said he will return to the fashion week's schedule in September with a combined menswear and womenswear show and is also adopting a "see-now-buy-now" model, Vogue reported.